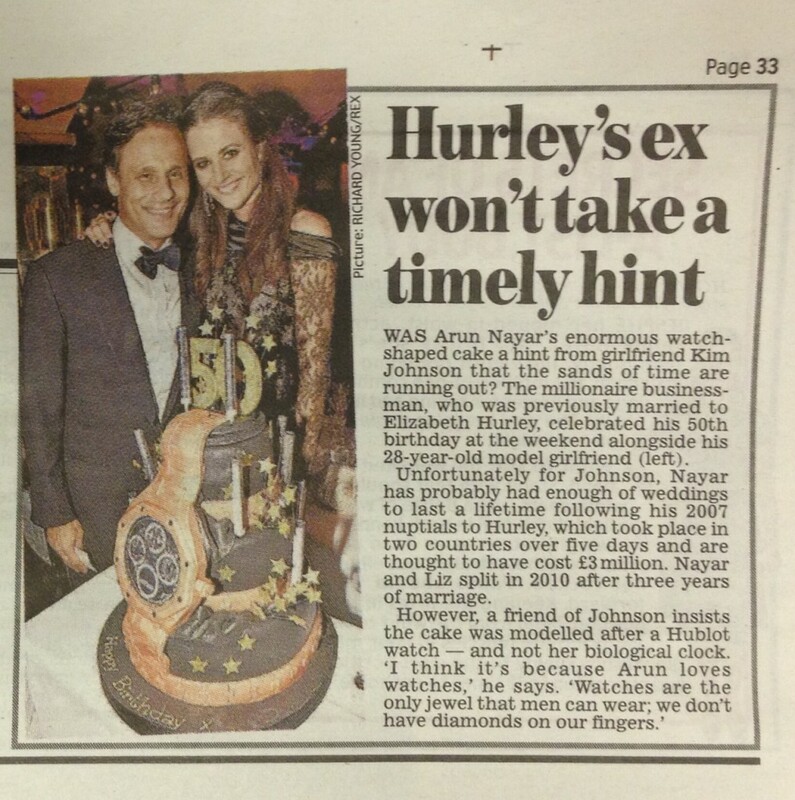 The Hublot watch birthday cake we created for Arun Nayar featured in The Daily Mail in November 2014. As an avid collector of watches, Arun Nayar’s birthday cake was designed with one of his favourite brands in mind. Read more here.